US video game giant ZeniMax Media on Wednesday said it is suing virtual reality headgear star Oculus VR, recently bought by Facebook. ZeniMax, whose empire includes Bethesda Softworks and id Software, filed suit in federal court in Texas accusing Oculus of misappropriating trade secrets relating to virtual reality and infringing on copyrights. "Intellectual property forms the foundation of our business," ZeniMax chief executive Robert Altman said in a release. The lawsuit charges exploitation of intellectual property, computer code, and "technical know-how" relating to virtual reality technology that was developed by ZeniMax and shared under terms of a non-disclosure agreement. 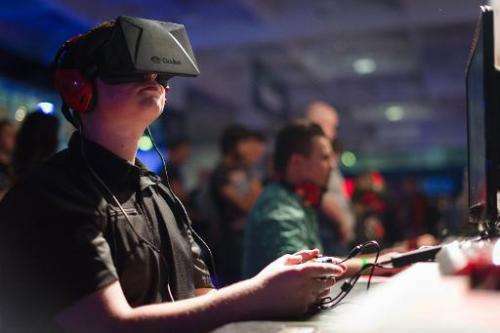 "The lawsuit filed by ZeniMax has no merit whatsoever," Oculus said in an email reply to an AFP inquiry. "As we have previously said, ZeniMax did not contribute to any Oculus technology." Oculus vowed a vigorous defense against the lawsuit. Efforts to resolve the dispute have failed, according to ZeniMax. Facebook in March announced a $2 billion deal to buy Oculus, a startup behind virtual reality headgear that promises to let people truly dive into their friends' lives. Facebook declined to comment on the litigation, referring inquiries to Oculus.